Yes, it's a good price. I paid £18 for mine, which was good. Mine does have a 'V' in the middle though which, as others have said, is much more useful for clearing cables, down-pipes etc. Ah that makes sense. Pretty niche... Hard to guage if £14 is a deal or not. No good if there is a drain or soil pipe in the way. Better to have one with a gap in the middle. I think you attach it to the top of a ladder and it allows you to rest the ladder out from the wall. Useful if you need to drill a hole with a long bit for example. Sorry the link is just the Nintendo product page as clearance bargains don't have a website. The warranty is covered by Nintendo acording to the leaflet that comes with them. The left joycons are renowned to suffer from drift (Google it). Not sure I'd want to take a punt, whether these have been refurbished by the manufacturer Nintendo, or what they mean by refurbished? Cleaned? Il give it a miss then! I have been trying to get to the link from get deal button to find their location in Walsall but the page never loads. I'd like to give them a visit tomorrow. Can someone give me a postcode please? Of course, that's what I offered, my opinion. not valid anymore. There's only one piece left at £350, no game add ons though. Specifically UHD Blu-ray playback. Does it do Dolby Vision and Atmos as well as a dedicated player? Do you mean playing the UHD from a retail bought disk or from a file from the hard drive (i.e a backup). From what I understand the issue on supported formats is from playng it from the hard drive or using DLNA. And you will get that with any UHD player you buy unless you buy something like an Oppo player that will cost a bomb. I have been there a couple of times recently after this post. Terrible customer care!! Wouldnt refund or even allow exchange without a receipt. When i said there is still the barcode and price sticker on the box, the girl at the customer service accused me i must have put the sticker on the box myself from some other items in their store so can't exchange. The manager took the same stand. Staff busy having a laugh with other staff in the pay counter not caring for long customer queues when only one person is serving. Slightly overpriced for most stuff providing their condition which are box damaged, scratched or having cosmetic imperfections due to age especially electrical appliances. There is nothing better you could get better than a 1/3rd off from argos direct. The apple earpods were good price though but they were oos. Hi guys, local deal with a reasonable amount in stock. Xbox one X Scorpio Edition for 249.99 - clearance bargains Walsall. Ite cheaper than most PS4 pros. Most games are optimised to run at fixed frame rates for optimal performance when in 4K so really there is no difference between the two most of the time unless you’ve spent £3k+ on a rig for 4K60 out of all of your games. Yeh for sure if you had to choose one or the other, it would be a PS4 for sure. But over PC I still choose an Xbone for ease of use. Controller is subjective and Forza is fun. I played Horizon 3 but Horizon 4 I'll get on pc. It doesn't make sense to buy an Xbox anymore, I think Microsoft has realised too. Controller is far superior, and it has Forza games. PC is far too expensive and not everyone's household allows for both a gaming setup and a "semi professional" setup. Same as Stanley one today. More Apple marketing bs...my Bluetooth headphones connect every time...Even if I leave the vicinity and come back...bam they connect. Bluetooth got better a while ago...it only took a while for Apple to catch up!! 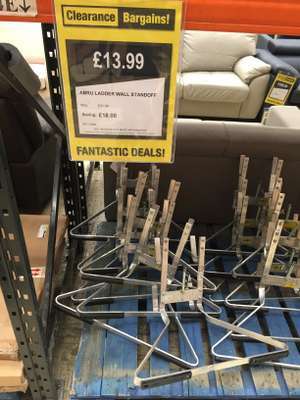 Bamboo towel ladder rail in Clearance Bargains (Argos) Reduced from £39.99 to £7.99. They have about 60 in stock. Really?....move on you fool..I already had. They still use this on modern buildings in HK. Walsall town centre is horrendous! Awful place. The little shopping bit at the top is o.k, But the high street is a dump. Is about the right starting price point really. Is any of this stuff advertised on Argos eBay? Well was sceptical of the whole thing so just been down to take a look. You get 12 months warranty with all the items in store. Said it was for a birthday present and found one with just the wrap taken off the screen but the rest was still bagged up like it had not been opened!! Yes. See my other comment for a video link to the specifics. 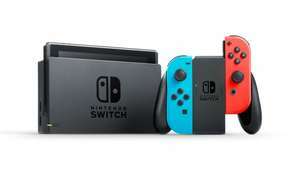 If you don’t mind me asking, was yours a launch console? As the title says, Project Scorpio edition One X's for £299.99 At Clearance Bargains in Walsall, they had probably around 12 of them earlier today. I’ve been this morning. Still in stock. I've had my Scorpio since launch and I love it, I'm a pretty big Halo fan, Halo 5 looks amazing and so does halo 2, I couldn't imagine not having an Xbox, can't wait for RDR2 will look amazing in native 4k. By the way anyone considering getting an Xbox One have a go of the game pass trial and download Forza Horizon 4 it's one of the best racing games I've ever played! Yeah, lets rush to expire it even if we don't know if they're gone or not. 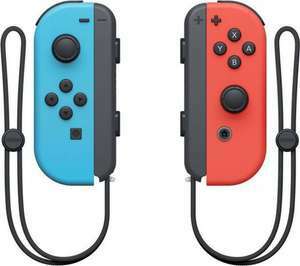 This Switch Joy-Cons deal https://www.hotukdeals.com/deals/nintendo-switch-joy-con-remotes-neon-refurbished-with-12-month-warranty-at-clearance-bargains-walsall-3499-instore-3009879 is still live despite them having none in the store. This. If not, might as well expire the deal. I was there yesterday. They are not the most helpful bunch to be honest. As you can see, I took the photo in-store, so they can't say they haven't had any. I'll pop back in a bit, I'm literally 10 mins away and see if there any left. 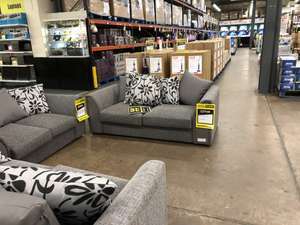 Do they have alot in stock at this price? Considering driving there on Saturday but struggling to get in touch with them. Cheers for the link though, fabulous deal. Yes. Its reversible. So can face left or right as in the short and long bench are swappable. Great price to pick up for your MIni NES plenty in stock yesterday. I went in there earlier and got 2, expecting to pay £1.98, but they are now 49p each !!! Just in case you're not kidding but more so that other people know for their information, the bottom red A &amp; B are regular and the top black A &amp; B are the turbo ones. (Which is pretty nice in my opinion to just have it right there rather than have to enable it or anything.) Also for what it's worth, these feel like they have a surprisingly decent build quality. I was really happy with mine at a fiver so 99p is a bargain. I would consider buying this after tomorrow's Euro million draw. Who in Stanley has £3.50 to buy anything? Spotted in Clearance Bargains in Stanley, County Durham. There's a basket full of them, so hopefully there's enough stock to let this deal get hot ;) They are the 930mAh version. For sure! I have a combination of both and use the higher capacity/drain cell in flashlights and the higher self discharge in everything else. Good shout. It's definitely a question of use-case. For my needs, I'd probably opt for the lower capacity, higher recharge cycle batteries since I mainly use low-powered devices. If you cannot get these i'd look online for the Fujitsu batteries, they're made in the exact same TDK factory with the exact same ratings. I have these and eneloops and their is no difference. https://www.7dayshop.com/products/fujitsu-aaa-hr03-ready-to-use-nimh-rechargeable-batteries-900mah-4-pack-wh2-recr03fuj-950 78p more expensive but includes delivery. However if you don't NEED the long capacity i'd look at the 2100 recharge cycles version as they'll last longer and have a better self discharge. I didn't have the foresight to check the capacity of these before I left the store. Sorry about that :D . Given these are the Pro version, they should be at least 900mAh. Clearance Bargains = Argos discount warehouse. In store only, no website!